Greet your customer on special occassion through our Email & SMS service. Create all messages that you may send to your customers as message template. This is a one time setup that can be updated anytime you wish to update. Message templates that you setup can be scheduled as an email or SMS. 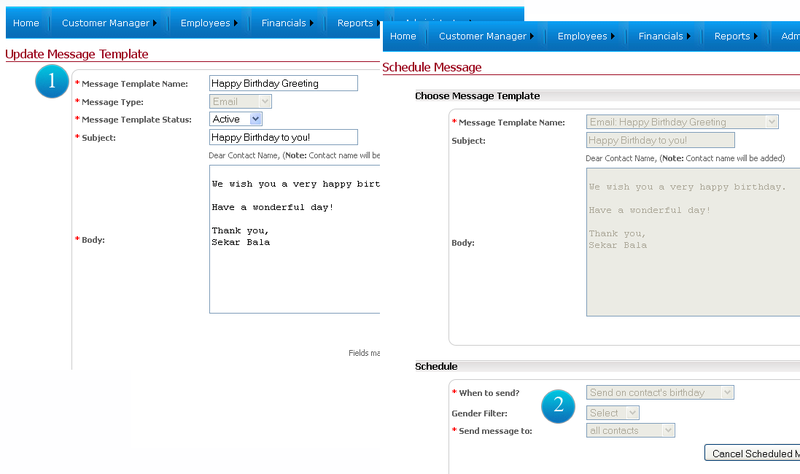 You can decide whether to send messages on a specific day and time, or on customer's birthday.